Dental crowns are widely used in cosmetic and restorative dentistry due to their diversity of purposes. A dental crown is a custom-made cap that is placed over a tooth to restore a tooth’s health and function while also enhancing its appearance. Now, various advancements in dentistry allow for dental crowns to look and function more like a natural tooth. As a result, whether they are used for cosmetic or restorative purposes, they blend in seamlessly with natural teeth. As a cosmetic and restorative dentist in Grande Prairie, AB, we offer high-quality dental crowns to promote the health and appearance of your smile. Dental crowns are custom-made caps that are placed over a tooth to restore a tooth’s health and function. For example, when a tooth has become broken or has suffered a significant amount of decay, a crown is placed over the tooth to restore the health of the tooth, saving it from extraction. However, dental crowns can also be used in cosmetic dentistry. If you have an abnormally shaped tooth or a tooth that has experienced significant wear, a dental crown is placed over the tooth to restore its appearance. Often, dental crowns are used in combination with other procedures, such as a root canal. When a tooth has become infected or severely decayed, the tooth will be treated with root canal therapy. A root canal involves removing the area of damage and the pulp of the tooth. The tooth is then sealed and sterilized prior to bonding a custom-made crown to the tooth. In addition, dental crowns are often used with a dental bridge to replace missing teeth. A bridge is a prosthetic device that fills the space of missing teeth with prosthetic teeth. Then, dental crowns are placed on the adjacent teeth to anchor the dental bridge in place. When used together, a dental bridge and crowns solve tooth loss with a convenient and affordable option. Now, dental crowns can be made to look like a natural tooth using all-ceramic crowns. In the past, dental crowns were typically made from porcelain-fused to metal, gold alloys, and base metal alloys. While these crowns are still effective and used often, all-ceramic crowns offer the same benefits of traditional crowns but look like a natural tooth. Using ceramic, the crowns offer a natural and customizable appearance for a flawless repair. At Access Dental, we will provide you with a high-quality dental crown in Grande Prairie, AB. No matter if you need a damaged tooth repaired or need to replace missing teeth, we provide customized dental crowns to meet your exact specifications. We will ensure the crown meets your size, colour, and shape specifications for optimal function and appearance. The process to receive a dental crown is fairly minor and often no worse that receiving a traditional filling. If you need a dental crown, contact Access Dental today. 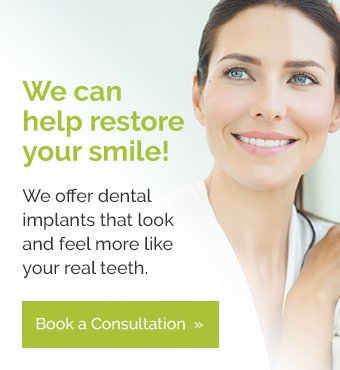 We will restore the health of your smile while enhancing its beauty.